Becoming a good mediator will require a great deal of deep inner reflection in addition to years of hard work, developing the necessary skills, knowledge, experience and credibility. Traditionally, only experienced lawyers and judges were seen as credible mediators. Today, a good mediator is seen as someone who has basic legal knowledge, someone who is extremely emotionally intelligent, someone who is a strong communicator, someone who is friendly and able to connect with everyone in the mediation room while being perceived as a neutral and impartial third-party. Provided that mediators do not provide advice on the actual "content" of the dispute (making decisions to resolve the parties conflict), is not necessary that a mediator be a lawyer or a judge. Some of the best mediators are experts in communication, therapy, relationships and other areas of expertise. If you are considering a career in the mediation, please review our 10 steps to success. We make no promises that it will be easy, especially for young people who are just starting out their career. Very often, you will be competing against very experienced mediators who have developed a strong client base and credibility over the years in another field, such as law. At the same time, if your dream is to become a mediator, do not give up, and continue to work towards this goal, knowing that it might take a few years to have enough clients to work as a mediator either part or full time. If anything, the dedication required to become a mediator will test whether it is the right career for you. In order to become a good or great mediator, you must be effective at resolving your own personal conflicts. Maybe your friends tell you that you are great listener, that you are loyal and that you can always keep your friend’s secrets. These are great qualities in a mediator, given that mediators must both be the experts at listening, both to their clients and encouraging listening amongst their clients. In addition, mediators are legally and contractually required to maintain confidentiality in terms of their clients information and the communication exchanged before, during and after mediation, so keeping secrets is a natural part of the job. 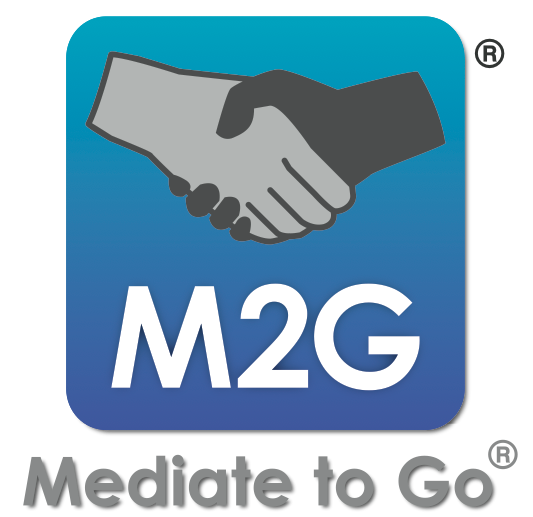 Now, you can walk into the mediation room using Mediate2go.com with your phone or iPad, and just focus on what matters; helping the parties. However, these skills are not enough to be good mediator. The best mediators have faced their own conflicts and developed rich personal insights into relationships, based on all of this experience. Completing a few courses or even a degree in mediation and conflict resolution does not imply that someone will be a good mediator. Rather, it is a combination of theoretical and practical experience. Similar to psychologists in training who must attend therapy, mediators should constantly engage in self reflection and ensure that they look at themselves realistically and honestly, in order to see where the strengths and weaknesses are in dealing with conflict. Some mediators will even go to therapy in order to gain some of these deeper insights. To be a great mediator is to dedicate your professional life and sometimes life overall to learning about conflict resolution. You must constantly learn about conflict and be open to hearing feedback from others. You should also speak with colleagues in the field to debrief cases regularly. Now, see some of these practical ways to become a mediator. We recommend initiating each step in this order or concurrently. However, you may choose a different order based on your personal situation. This list is based on our own research. Mediate2go.com is the easiest and most affordable way to build your mediation and conflict coaching practice. Get more clients and modernize your practice with Mediate2go.com Case Manager. It only takes a few minutes to set up your personalized profile. Our first recommendation is to search for courses in mediation and conflict resolution. Courses in law are not enough to become a mediator because they are based on an adversarial legal system, which is the very opposite of what must be achieved in mediation. Next, we recommend that you search for a mediation association that offers memberships and/or accreditation. Even if you do not have the experience as a mediator, you might be able to join one of these associations as a student or simply as a contributing member. Such an association will help connect you with different courses and practical learning experiences, in addition to networking opportunities, which will prove critical in your journey to become a mediator. Very often, such an association might also be able to provide you with credibility as a practitioner, if you're able to register as a qualified mediator and receive official status as a mediator within your region. They might also provide a way receive credentials as a practitioner, which will go a long way when trying to get your first clients. Also, experienced mediators will be more comfortable to invite you along to observe different mediation sessions if you have a basic knowledge of the process. Through simple observation, you will learn a great deal of how to develop your own practice as a mediator. Next, we recommend that you register with our directory of mediation professionals. In doing so, you will send a clear message to other mediators and potential clients that you have the experience and qualifications necessary to provide services. This can be an affordable way of launching your own mediation practice. In addition, you sent a message that you are part of a community a third-party neutrals, not simply a standalone practitioner. Sign up here for a directory listing. In addition, Mediate2go.com provides the most affordable case management system on the marketplace, which will help you take care of managing your client's information, scheduling, keep track of case information and also help you look like a competent practitioner, with features such as digital agreements. Imagine walking into mediation room with your iPad or tablet and having your clients sign their agreement to mediate on the device. Clients will perceive you as a competent and professional mediator. Once you have attended some training, develop relationships with experienced mediators. Mention to them they you are interested in observing as many mediation sessions as possible in order to develop insights into practice. While it might take asking several mediators before you hear a positive response, continue to ask until you are invited to a session. Generally, clients are okay with this. Offering to volunteer as a community mediator is one of the best ways of learning how to help others resolve their conflicts and developing a reputation as a mediator. Very often, community mediation centers or clinics have been established to offer free conflict resolution services to people in the community. For example, a city might fund neighborhood mediation programs to help disputing tenants and landlords resolve their issues in order to avoid the hassle of going to an administrative tribunal. This experience might provide a great deal of credibility to you as a developing practitioner, say you are able to tell potential clients that you completed a certain number of mediation sessions, even if they were unpaid. Create a profile on Mediate2go.com as a peer mediator to get started today! Next, we recommend that you take a look at your expertise in other areas. Although as a mediator, you will not provide advice or decisions related to the outcome of the dispute for your parties, your specialization in another field might help clients feel more comfortable with you. For example, if two accounting firms are having a complex dispute, they might prefer a mediator with an accounting background. Such a mediator might be more familiar with how things work in that particular field, and are thus better prepared to ask the right questions, to help the clients resolve their own issues. A mediator doesn’t resolve their client’s problems, but they help their clients resolve their own problems. In addition, you might have a lot of connections within a particular community, which might be a potential market for you to provide free or paid mediation services. Get onto the Mediate2go.com directory right away to build credibility within your market. Once you have some basic mediation experience under your belt, speak with some peers in the field and ask if you may sit with them as a co-mediator. While some mediators prefer not to offer co-mediation sessions, co-mediation provides a great way of helping third-party neutrals connect better with their clients to help them feel represented. How does this work? For example, some mediators will invite a co-mediator to assist in a mediation session, in order to help the client feel that they are represented in terms of gender, race, religion, ability, sexual orientation or background. This way, there is a lower likelihood that the mediators will be perceived as biased towards one side due to their background. Co-mediation provides an easy way of learning from another professional, while starting to practice some of the necessary skills in conflict resolution directly with clients. You can also promote this on the Mediate2go.com mediator directory. By this time, you will hopefully receive some form of accreditation by a local mediation association. This way, clients will be more likely to access your services. However, at the start of your practice, you might be required to offer free mediation services in order to gain more experience. Continue to do so until you feel that it would be appropriate to charge based on your competence and if the clients feel comfortable doing so. This is often a decision based on the market and what clients are willing to do. Keep receipts, even for free services in case you need prove when applying for accreditation, if you have not already done this. Don't forget to state this on your directory to get more clients! In addition to signing up for a Mediate2go.com directory listing, sign up for our premium version, which will allow you to build a newsletter. This will help you maintain your reputation as an expert in the field of conflict resolution. Use social media sites and start sharing material on conflict resolution. The more material you post, the more clients will feel connected to you. Don't forget to set up your Mediate2go.com directory and continue to add all the training you have gained over time. Lastly, start or continue to attend as much training and as many conferences as possible in order to continuously update your skillset and knowledge in the field. This is crucial to becoming a good mediator with regards to competence and also in terms of building your business through potential networking opportunities. If you have developed skills within a particular niche of mediation, start to share this knowledge by offering your own training information at various conferences. This can help you build your credibility as a specialist within this field. Sign up for the Mediate2go.com social media accounts, just search for Mediate2go on Twitter, Pinterest, Instagram, Linked in and more!